I know it's still early and a lot can change between now and Saturday but they're currently predicting thunderstorms for Saturday (don't know if it's during the day or night). I don't attend many concerts so, what is the rain policy? Play if it's not too bad? Reschedule if it's bad? The weather will most likely change. As of right now it's not that high of a chance. The band will play in the rain, but if there is a thunderstorm the concert will most likely be postponed until the storm passes. I don't know what would happen if it's supposed to storm all night. Once there is the clear to resume they'll go back on. The stadium, or at least the floor, will likely clear out and head for cover which will probably cause chaos for the people who are very concerned with getting their same spot back. This same thing happened back when PJ played Wrigley. It seems to change every time I look at the forecast. First, there was a 30% chance of light rain throughout the day with very little chance through the evening. Then, the chance of rain increased through the night. When I looked last night, it was a 60% chance of strong thunderstorms all damn day and all damn night. When I checked this morning, it had been downgraded to light showers in the evening. The wife and I are driving in from just outside Toronto, and because the weather changes every time I look at it, I think I'll just stop checking the weather next time it's calling for anything remotely hospitable, lol. A friend of mine pointed out a Pearl Jam show at Wrigley in 2013. The show was delayed, but still went on. It may end up being a late night, but the likelihood of an outright cancellation is low. 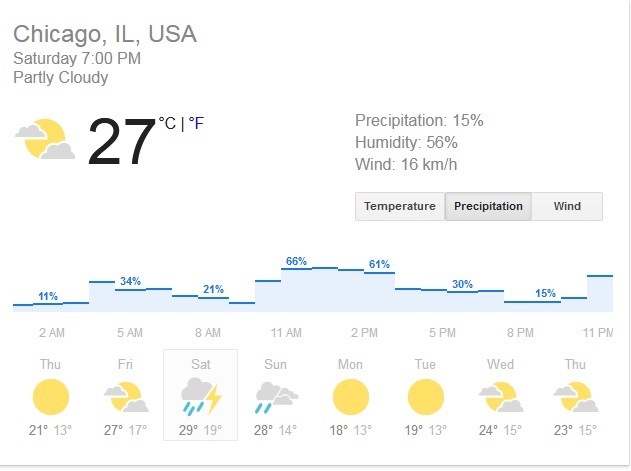 Yes, I've been told that weather in Chicago can be very unpredictable, but hopefully everyone can wish the rain away. But be prepared. Take a cheap poncho, in case it does rain. If the thundercloud passes rain, so let it rain. Starting to look MUCH better for Saturday. Now that I have the news I want to see, I'm going to stop watching the various weather networks. I was at a show in Minnesota for the 360 Tour and it poured the entire time. They had these special covers that came out and shielded their gear from the rain. They never once stopped playing. Not 1 person left. The energy was incredible. They even had fun with it singing verses from Purple Rain and Singing In The Rain. Yes everyone was soaked to the bone but it was one of the best shows I have seen them do. Just bring a dry bag or a ziplock for your phone and wallet and have the mindset before hand that you will get soaked and you will have an amazing time. I saw Coldplay the first night they played last Summer. There was a severe thunderstorm going into the venue. No opening acts but Coldplay came on and played. I was so happy and even starting to dry off a bit. Then I felt a raindrop. After they finished the song they were playing, Chris Martin said they had to leave and would come back out in an hour. Nope. Someone came out and whispered to him. He then said, "I guess not. We'll give them one more song. ", and they played A Sky Full Of Stars. Ironic. Then he said, "That's it folks. We're sorry. Why is it raining? I thought it was Summer right now.". It was funny until I realized we got 2/3 of a show. It depends on lightning. If it's a thunderstorm with decent lightning, they have to shut it down. I was so bummed until I realized I could call TM and have them get me comps for the next night. WRONG. I argued for hours with TM as the show should not have taken place. The line of storms moving in stretched over three states. It never should have taken place but for dollar bills. It poured for three hours. The buses could not move. Traffic stood still. It was a mess. Again, it's the promoter who makes the rules and leaves the dirty work to those at the venue. I live in Milwaukee which is about 90 minutes due North of Chicago. There is a warm front which is moving in and they cannot accurately predict where and when the accompanying bad storms will hit. It looks like the brunt of the front, at this point, is going to pass more to the North of Chicago. That can change, but it has seemed so all week. I'm hoping and praying and begging and pleading that it does. I think we'll be okay. 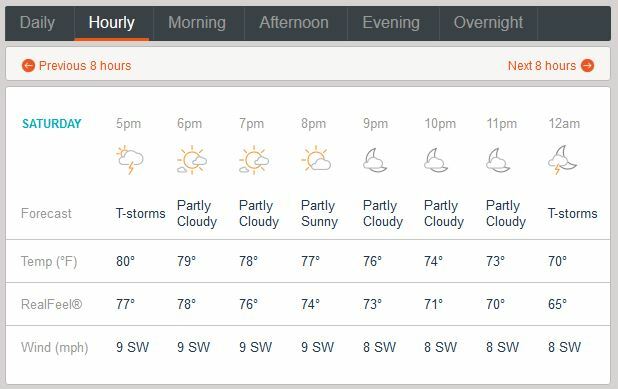 I just checked and there is only a 20% chance of thunderstorms during showtime. The winds are gonna be out of the SW which should keep the major squall to the North. Bring a poncho if you will. Remember that no umbrellas are allowed into the venue. You have to leave them sit on the ground. There were thousands by the time we got past that point for the monsoon that was Coldplay last year. Quite a few of them looked expensive but sat abandoned nonetheless. 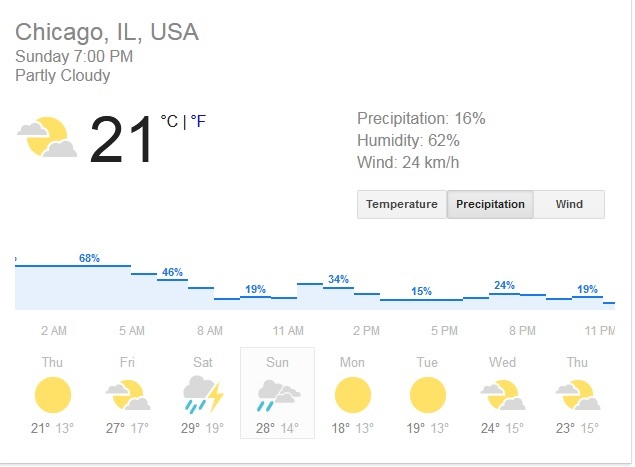 It looks like we will be okay for the show but that can change when next to Lake Michigan. I still think we'll be okay but am checking every 12 hours as I am a weather geek. It is going to be hot and quite humid during the day for all the GA people sitting in the Sun. That crash was the loudest sound I ever heard. If there truly is the threat of lightning, the show should be postponed. Postponed being the key word! As awful as that sounds...I would love to safely hear lightning crash. I doubt it's possible but I love storms; just not on the day of an outdoor concert. We may get pretty lucky tomorrow. Right now they're saying thunderstorms will stop around 5pm and then pick back up again around midnight. 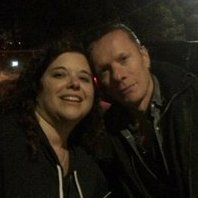 Here's hoping, Keith2, and everyone else attending the shows. I'm seeing the same thing too. I checked multiple sources. Meteorologists are predicting two bands of rain which should pass over fairly quickly. GA people lining up during the day are the most likely to get the rain, it seems. Soldier Field is right on Lake Michigan. The storms often break up or weaken as they hit the lake because the water is cold. Maybe that will happen tomorrow. Never, ever admit that you saw Coldplay. Funny. Thanks. I like Coldplay. I was wondering, when writing that, how long it would take someone to say something. I love it. I was there for this too. The Soldier Field employees were rude, unaccommodating and were even swearing at people (!) to leave. Have a backup plan, just in case! My first U2 show was an outdoor concert in the spring of 1983 in North Carolina ... it was a very cold rain that day! We somehow ended up in grandmaster flash tour bus to warm up and dry off a bit while The Producers played. It was hell being so cold and wet, but it was one of my favorite days ever ! Yeah this is from their 360 book I can't remember if this photo in the book was Minneapolis or not but if was raining just like this in Minneapolis. Best concert I had been to. I apparently have astrophobia (fear of lightning) so I really hope it misses us lightning wise. I will stand in pouring rain though. I love hearing and seeing lightning but not being out walking in it. His Hallelujah that night was brilliant btw. I think they were confused more than rude, however; I ran into some very stressed workers which seemed rude. In retrospect, I realized they were overwhelmed. I was on strong medication, got confused trying to find the will call as there is no signage if one approaches from the the North of SF. I tried to get comps for the next night but TM said no. I argued for hours. I called them back right after hanging up numerous times. I was asking them to get me in touch with someone at SF as the phone lines were crazy and I could not get anyone. I knew they'd comp me. TM did nothing. All they did was give the usual Live Nation bulls#@t generic answer of, "Rain or shine". That concert should never have happened. All one had to do was look at radar to know it. Live Nation calls the shots and the venues deal with it. I've always had positive experiences at SF. I called SF on the following Monday. She said, "David, we would have been happy to comp you." She apologized and offered me two seats to any event during their 2017 season. I'm going to see Coldplay in August. We are right up front. They even Fedexed me the tix overnight. I got really confused and sick so she was very, very accommodating. I think they were very overwhelmed as it was chaos. Nobody knew if the show was going to happen. Meanwhile, we all hovered under something waiting for the rain to stop. I watched how the staff handled it and every single attendant was slathered in people asking him or her questions. It was to the point where they could not do the major part of their jobs. Also, many of them did not know what to say because they did not know what was happening. Most just shrugged their shoulders because they did not know and did not have time to answer people. It must've sucked to have to stand in the rain, not know what was up and take the crap from fans who were upset and getting ornery. I've never seen it rain like that for an outdoor concert. We got off a bus JUST as the rain started and it was a deluge, as you must well know. Going up that hill we were walking in three or so inches of water running down the hill. LOL Squish Squish. It's funny now, but my gosh how it rained. That was a severe thunderstorm. There were warnings issued by the weather service. It is almost 11 AM the day of show one. It has been pouring in Milwaukee for 2 1/2 hours. It is now starting to clear up so if it hits Chicago...know it will stop. I used to work in television production. The person going to the show with me still does. He asked the meteorologist who was working about the rain during the show. She said it will rain before the show, then stop and possibly start up again around midnight. Her husband is going to tonight's show so she knew! It seems we will stay dry during the show. I am heading down now. It looks like the brunt of this squall line is gonna miss SF and GA. It may rain but nowhere hear what it did here in Milwaukee. The majority is gonna go over the lake. See y'all at the show!